Get over your back pain so that you can return to your normal lifestyle. Stop living with pain and get back to doing the things that you love to do without pills, injections, or surgery! 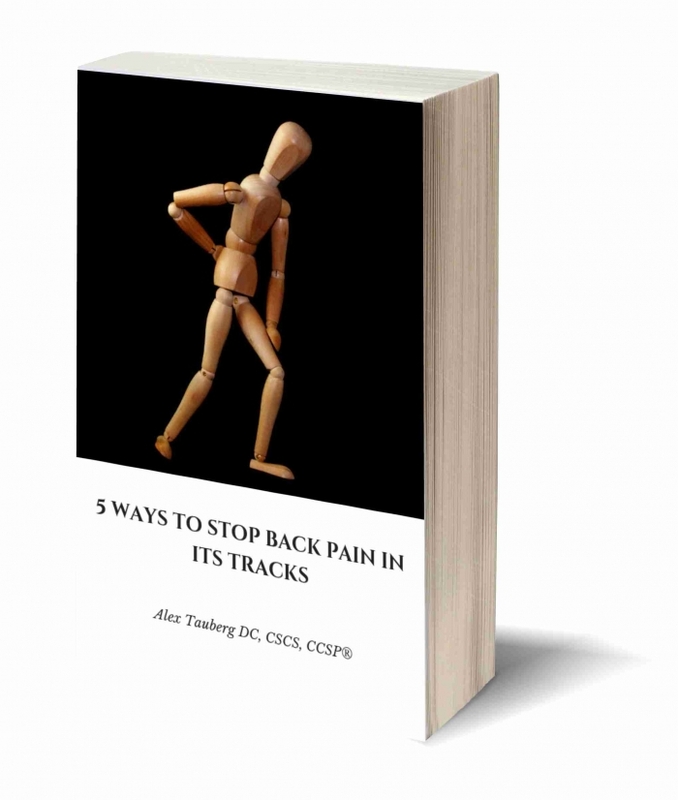 FREE Guide To Stop Low Back Pain And Get Back To Your Life! This guide is for anyone frustrated that low back pain is stopping you from living the life you want. Both Low back pain & Sciatica can be incredibly frustrating. The pain can make you wonder if you are ever going to be able to do the things you used to do again. Doing the activities you love to do as you age should not just be a best case scenario and back pain should not hold you back from doing those things. While back pain can persist for months on end without the proper care it is very treatable. It is not worth dealing with the daily aggravation. Low back pain is by far the most common condition that I see and I truly enjoy helping people recover from low back pain. I want to get you back on your feet and back to doing the things that you love to do. I will work with you to help you achieve your goals whether that goal is walking around the block, performing everyday activities, lifting your children, or playing a sport at a a high level. The transformations that I have seen patients undergo are incredible. I recently had a patient who had never had back pain before all of the sudden she develop pain so severe she couldn’t walk for more than a couple minutes. She had this pain for months and was at the point where she believed surgery was inevitable. As she progressed through care she slowly regained her ability to walk and performed the activities that she used to enjoy doing. She is now back to being active and enjoying her life. In just a few appointments she made a dramatic recover and is so glad she came in. If you can relate to this I want to help you. Click the big red button above (next to the video) and get your FREE guide so you can take the steps to start eliminating your back pain today! Do You Want To Know Why Your Pain Hasn’t Just Gone Away? We all think that our pain is just going to go away with time. Most of the time this holds true, but sometimes it doesn’t. The longer your pain goes on the more likely it will stay without being treated properly. Sometimes the pain just lingers around and every so often it pops up again. Other times it just continues to get worse. It can go from a dull ache to a sharp stabbing pain or a deep nagging pain. When back pain doesn’t just go away on its own, it’s usually because it was not cared for properly. Maybe you tried to rest to get rid of the pain, you did exercises that made your pain worse, you got a massage that didn’t help for long, or worst of all you decided to just accept the pain. If you tried any of those or something else that didn’t work I understand, I have seen plenty of people come through my door with similar stories. The appropriate steps to take so your back pain goes away? Believe that you will overcome your back pain- Far to often people think that they will just have to live in pain and will never get back to their old lifestyle. This just isn’t true. You need to determine that you will beat back pain and you will get back to doing the things that you love to do. Stay Active- Do as much as you can without making the pain worse. Educate Yourself – Learn about the 4 most common types of back pain (disc derangement, joint dysfunction, radiculopathy, myofascial pain). Narrow it down – Determine what type of back pain you have. Appropriate Exercises – Do the appropriate exercises and treatments for your specific type of back pain. See an Evidence Based Chiropractor – Conservative rehabilitation is considered the gold standard for the treatment of low back pain. Chiropractors are experts at successfully taking patients through the conservative rehabilitation programs for low back pain. At Tauberg Chiropractic & Rehabilitation this is the most common condition that we see. We help people everyday and we want to help you get back to living an active lifestyle. With our help you will be pain free and able to to the things you love to do in no time. Schedule your completely complimentary and commitment free Discovery Visit. During the Discovery Visit you will come in and we will talk about your condition. The complimentary 20 minute Discovery Visit gives us the chance to determine if we are the right fit to work together. The two of us will go in depth about your condition. I will help you to better understand your pain. Then I will give you my recommendations on what type of treatment I believe would be most effective for your specific condition. This visit will help you take the necessary steps to take control of your back pain quickly so we can get you on the road to recovery. Click Here To Claim Your COMPLIMENTARY DISCOVERY VISIT Today! Don’t Put It Off For Another Several Months! If you are hesitant or skeptical I understand. Many of my patients start out that way and are amazed at how quickly they start to see results. Imagine what your life will be like in 5 years if you don’t get the help that you need. Do you think you will be back to your active lifestyle? If you are unsure, it is not worth the risk of waiting. I want to help you make the best possible decision regarding your health. If you need more help deciding what to do please arrange your Complementary Phone Consultation Today! Click Here To Claim Your Complimentary Phone Consultatation!